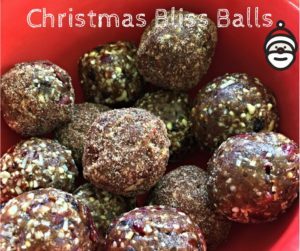 These healthy bliss balls are packed full of nuts and dried fruit. They are the perfect snack any time of year but I especially love them during the festive season. Add the remainder of the ingredients (except dates) and blend until roughly mixed. Will keep in fridge or freezer for at least a week but they be eaten before that!